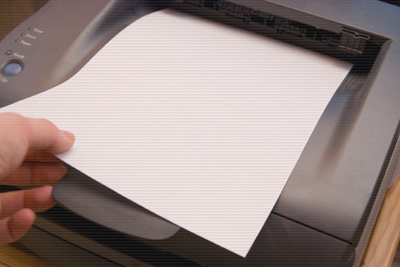 Pasadena copier repair by Southern California Copiers American SERVCO Imaging Systems and SoCal Copiers specializes in the service, repair and maintenance of Copiers, Printers, Laser Printers, MFP’s and Facsimile (fax) equipment. We provide on-site service and repairs in the Pasadena for Canon, Panasonic, Ricoh, Hewlett Packard, Oki Data, Toshiba, Sharp, Copystar, Kyocera, Mita, Minolta, Lanier, Gestetner, Konica and Konica Minolta copiers, printers and fax machines. Our Pasadena copier repair office also provides annual service agreements, maintenance programs and cost per copy maintenance for copiers, printers and facsimile equipment designed to help control the cost of repairs, maintenance and support related issues. Complete cleaning, mechanical testing, adjustment and fine alignment designed to eliminate unnecessary service calls. This service is provided at least once per year whether you place a service call or not. We can also provide additional scheduling to meet the needs of your company! All parts are covered including platens, motors, power supplies, mother boards and even power cords. This eliminates the possibility of additional bills that can be quite costly and unexpected. All labor for the entire year is covered. This eliminates the need to pay hourly rates that can be very expensive for software related problems or overhauls. With American SERVCO Imaging Systems service agreement, there is never a travel charge added to the cost of a repair. This ensures that regardless of how many times your machine fails, it will be back up and running quickly without any delays and without any additional charges. All service calls are responded to within 4 to 6 hours. This will ensure that your personnel are back to the job they need to do the most. American SERVCO Imaging Systems will also assist in maintaining inventory control by make, model, serial number and location for each machine that is covered under our maintenance program. With a service agreement from American SERVCO Imaging Systems you know exactly what your maintenance charges will be for the entire year. There are absolutely no hidden charges. Everything is covered with exception of Acts of God and abuse. i.e. earthquake, flood, fire, spilling of liquids etc. Billing can be provided to meet the needs of your company (annually, semi-annually or quarterly). Our minimum billing requirement for semi-annual billing is $1,000.00. For quarterly billing, our minimum requirement is $2,000.00.